I’ve been a fan of the World Heritage Tour for years. It’s an independent non-profit organization documenting the UNESCO World Heritage List in interactive 360-degree panographies. To date they’ve visited 298 sites around the world including Egypt, the Middle East, Southeast Asia, New York, and many more. To use the site, click the Planisphere link at the top of any page. Then click the yellow circles on the maps to zoom in on a particular area. 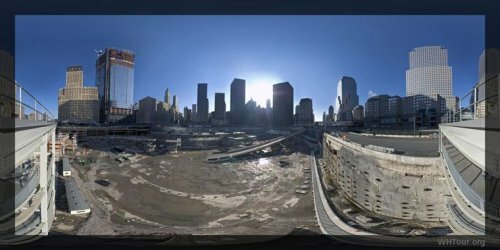 You’ll end up on a 360 degree interactive panograph (Quicktime required) that lets you see the location as if you were actually there.